Should contractors consider relocating abroad for a job? People these days are hungry for adventure, always looking for new experiences and a better balance between their work and personal life. Living and working abroad is a great way to satisfy the need for new experiences without your career having to suffer. In fact, as a contractor working within life sciences, getting contract jobs abroad are often more beneficial to your career than staying in one place! As a contractor you’re already at an advantage when it comes to relocation. You’re accustomed to change, excellent at adapting to new environments and well-suited to the flexible nature of contract work. Yet, perhaps your contracting career has never taken you particularly far afield so the idea of relocating to a new country is daunting. It is good timing to relocate for a job? Those looking for long-term contract opportunities abroad and who have spouses and families will have to consider the impact job relocation will have on them. The effects a move will have on a family depends on things like the age of children, the availability of jobs for spouses, the suitability of city itself for their needs etc. While a new start can have many positive effects, just be sure that the pros outweigh the cons. Luckily, if it’s a short-term contract, you could consider moving by yourself and returning to your friends and family when the contract ends. Cross-culture travel and improved communication methods make these sorts of arrangements much more feasible. Often your employer will offer packages that include regular trips home to see loved ones so be sure to explore your options. Another timing consideration is whether it’s a suitable point in your career for a big move. The good news is that for contractors this isn’t really a big issue. The nature of your job means you’re moving around a lot regardless of where you are in your career. However, it’s still worth doing some research to ensure your current skills and experience level can be leveraged in your chosen city/country. What opportunities are available to you abroad? This leads on to considering the opportunities available to you once you move. You may be lucky and have a contract lined up, or maybe not. You might have one contract in the pipeline but no concrete plans after that even though you plan to remain in the new city for longer. Not having these assurances can be daunting. Therefore, before you up sticks and leave, do your research! If you work in biotechnology or medical devices, check that the city and surrounding region have ample opportunities in these industries for you to grow your career. Is there another city that boasts better contracting jobs in biotechnology in the long-term? If you have a specialised skill set, which is common in life sciences, make sure that you choose a city that has demand for your expertise. This way you’ll never be stuck for your next contract if you want to stay in the city. Once you’re sure the location is right, now consider the benefits to your future career. Gaining experience abroad is always an advantage; you learn about different markets, different processes and systems, gain broader perspectives. All of this knowledge can only enhance your career, particularly as a contractor where gaining a competitive advantage will allow you to charge higher rates for your time and expertise. What is the city/country really like to live in? Putting aside considerations about the job and the process of relocating, have you thought about what the city/country will be like outside of work? Whether you are moving to a neighbouring country or another continent entirely, there will likely be cultural differences to adjust to. You might think it doesn’t matter as much if you’re there temporarily on a contract but think about the experiences and opportunities you’ll be missing if you don’t embrace and try to assimilate into the city’s culture. Find out what makes the city or country different; what’s the language? What’s the average cost of living? What are the customs? What is there to do and see in the city? It’s a great way to get yourself excited about the day-to-day experiences and little adventures you’ll have when you’re not working. It will help paint a more complete picture of what your life will be like in a new place. Also important to consider are things like how easy is it to get a visa to live and work, get around the city (transport links) and what the tax system is like. For contractors using an umbrella company, differences with tax will be less of a concern. However, if you operate under your own limited company, moving abroad will likely involve setting up a new company within the new country. While this may be a slight inconvenience to begin with, it’s probably a minor problem in the grand scheme of things when you take into consideration the benefits of moving. These include very competitive rates, career enhancement, new skills and a great relocation package. What could your relocation package be like? This mostly applies to people who already have a contract lined up. As touched on earlier, relocation packages or relocation allowances can make all the difference if you’re on the fence about moving away for a job. Employers understand that relocating can be expensive and that it’s difficult to leave your friends and family. They also known that it’s worth it for the experiences you’ll gain, both professionally and personally. However, employers often offer very attractive relocation packages to ease the transition, giving contractors the little push they need to make the jump. Relocation packages vary widely according to the individual’s needs and the employer, for instance whether you have a family, or the location of the contract. They can include transportation costs like flights, accommodation for an agreed period of time (sometimes throughout the entire contract) and regular trips to your home country to see family and friends. These packages are commonplace for contractors working within the life science industry, but particularly so for contractors working on remediation projects - when locations are a little more remote and the projects more urgent. In these situations, contractors are in for a pretty good deal! If you decide to take the plunge and accept a contract job abroad, you’ll be in for a real experience! Our advice is to make sure you’ve got your ducks in a row and that you are prepared for whatever comes your way. Moving abroad can be challenging at times but the experiences and benefits to your future career are usually well worth it. Whether we’ve helped bring you closer to a decision or sparked a desire to live and work in another country, get in touch with ProClinical today for more information on contracting jobs abroad. You can also register your interest in working in various countries by filling out this international opportunities form. 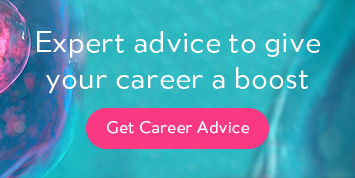 It could be the career boost you need or the new experiences you’ve been longing to have! Should you make a counter offer to retain a disengaged employee?